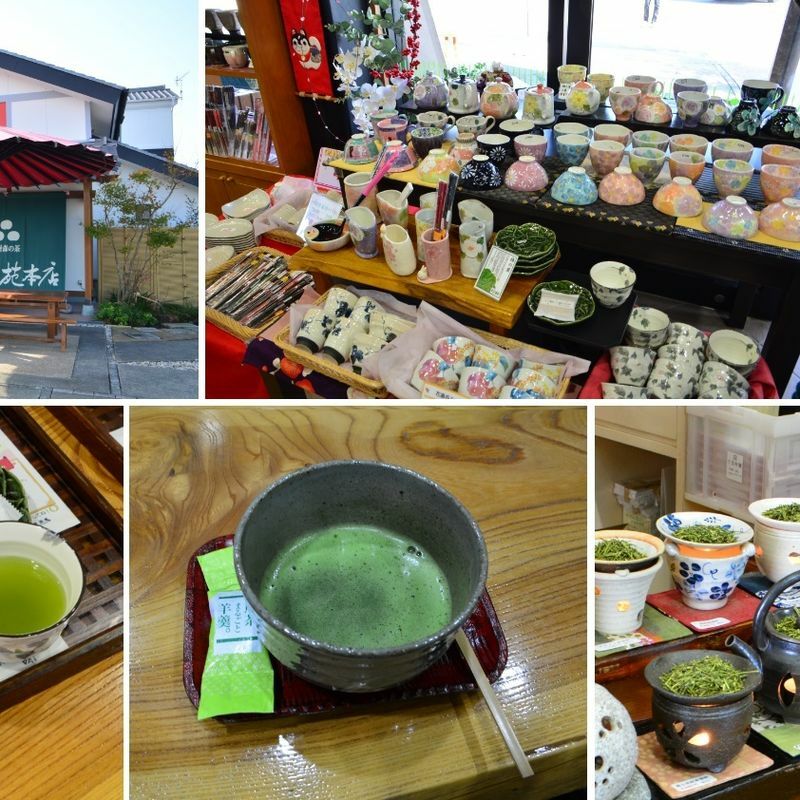 Japan is known for it's green tea all over the world and for sure, there are several regions inside the country where you can experience the local tea. Thanks to City Cost we were able to go to Mori Town (森町) in the Enshu area of Shizuoka on a wonderful day trip. I want to take you with us in this article. Meeting up at Tokyo station in the early morning of 15th November, we headed to Shizuoka station with the shinkansen around 9. The members of the Green Tea Association welcomed us there and we quickly changed to the bus which was taking us around the whole time on our trip. An hour passed by quickly with nice talks and first amazing views on the tea fields outside the window. Our first stop was the Osadaen tea shop (おさだ苑本店). After a warm welcome we went into the shop and could take a look around. You can find many tea supplies there and for sure several sorts of tea. If you are not sure which tea is the right for you, the friendly staff will help you find it out. We started our first tea tasting of the day here. First eating a delicious matcha cream cookie and then having a sip of sencha. Next to this, we also could try the Yamabuki Nadeshiko tea, which has a brown color but comes from the same leaves as the green tea version. They are fermented in a process quite similar to that of black tea and get the special taste through this. But this was not all. We were introduced to the easy traditional way of making a cup of matcha and could try it out by ourself. It was very interesting for me, because I already had seen it some times before, but never mixed the green tea powder and hot water by myself. For sure, this tea was also very delicious. 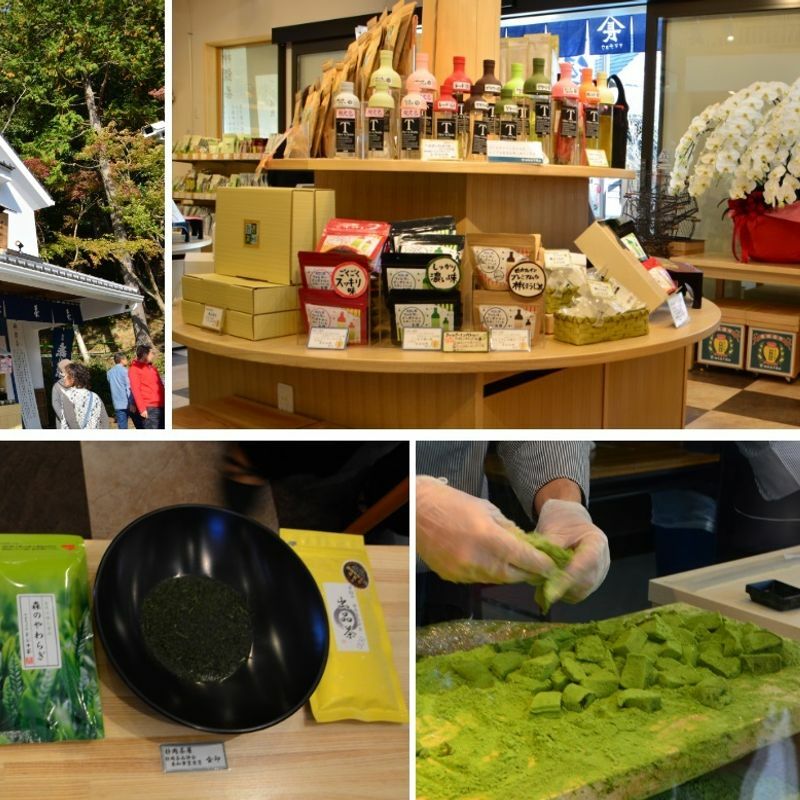 Osadaen are producing their own matcha powder, what you can see with a special machine inside the shop. I enjoyed my visit there very much. Especially the English support there was great. 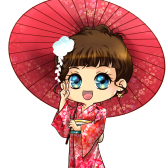 On top, the tea taster of Osadaen, Natsumi Osada, is a well-known champion of the nation-wide tea tasting competitions. The second stop was Kotomachi Yumei Komichi (ことまち横丁夢小径), a small market in front of the Okuni Shrine. You can find several food shops there including fresh dango and senbei. 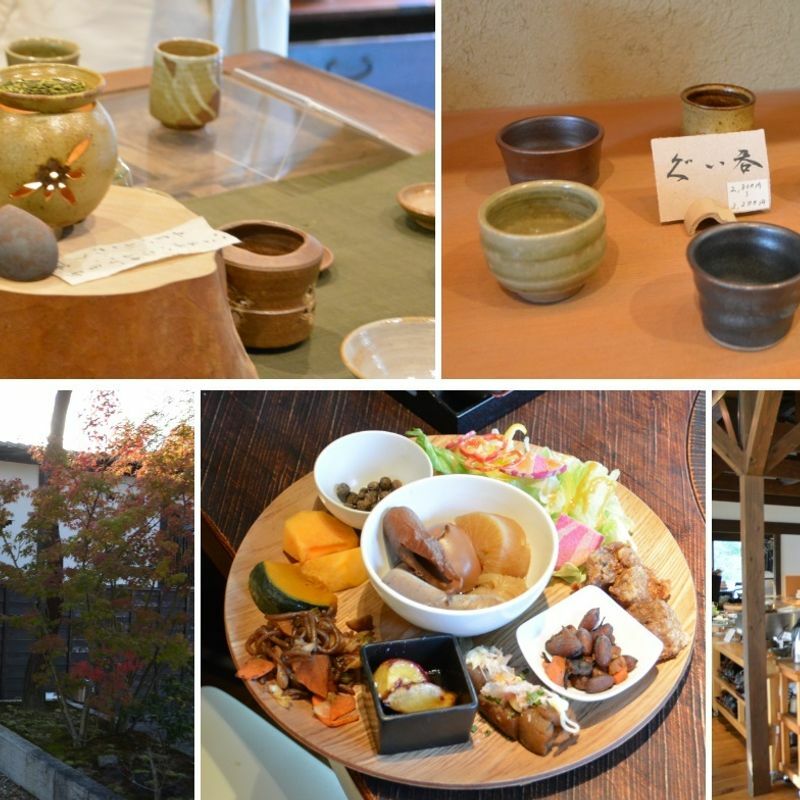 We visited the brand new tea shop of Yamacho (ヤマチョウ), which was just opened at the beginning of November. It looks very great and the staff members treated us sincerely. 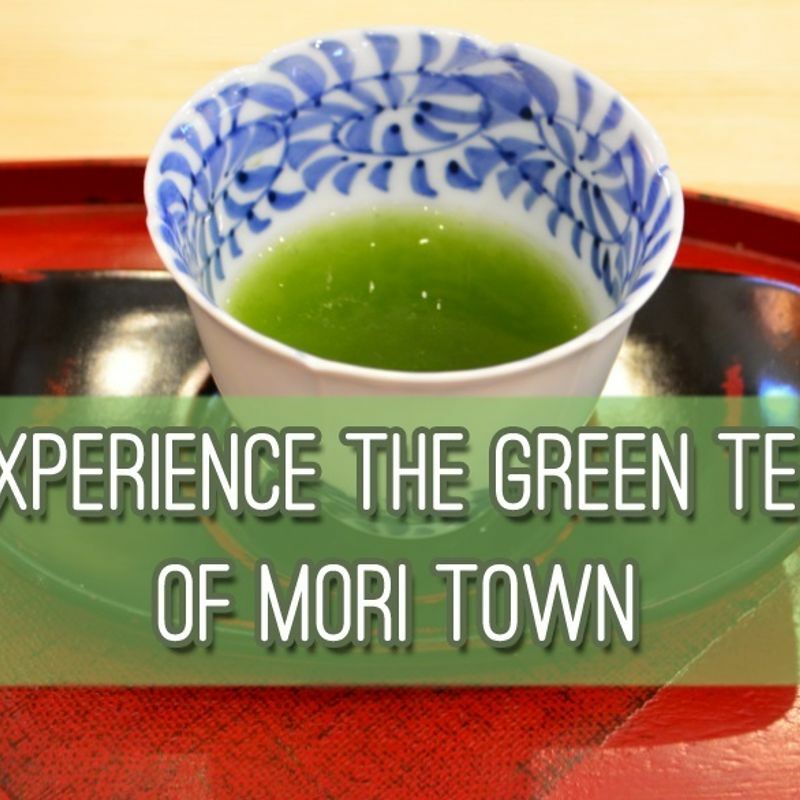 We could try three green teas there, including Asamushi Sencha with a very strong taste and Mori no Yawaraki, a Kabusecha which has a longer steaming time. Together with this Warabimochi with matcha were served that were very delicious. You can buy them just next to the tea shop and watch how they are made. The Okuni Shrine (大國神社) was built back in 555 and became quite popular with Japanese people not only from Shizuoka prefecture. Tourists are coming from all over the country to see the shrine which was worshipped even by the Tokugawa Shogun family. At the shrine area you find many beautiful stops, starting with the big shrines gates at the entrance, the long alley to the shrine lined up with stone lantern and the beautiful moon bridge. We were taught important manners at shrines, like when we need to bow, not to walk in the middle of the way (because this is where the gods walk) and the right way of washing your hands. The priest took us inside the shrine and we held a formal worship. I experienced this for the first time and it was very touching. I feeling I didn’t had before and I am grateful to be able to experience this. After this we got together with the chief priest for another cup of green tea, sweet sake and some sweets. He told us more about the history of Okuni Shrine and the tradition of giving out a special tea called Shinsencha (神饌茶) every month which is coming from local tea farmers. This one is offered to the god of the shrine, Daikokusama. Our next stop is located just a few meters next to the Okuni Shrine. At the Mimoroyaki workshop (遠州みもろ焼き 別所窯) we could see many tea cups, tea pots and other supplies which were produced here. These ceramics all include something found at the grounds of the shrine, for example the ash of cedar trees. It was really amazing to see all these pieces of art which are all one of its kind. To close up we stopped by at Kume Kichi (久米吉), a restaurant which has many dishes including the Japanese konnyaku (こんにゃく). We had a very delicious lunch with a wonderful view on the bamboo forest in front of the window. 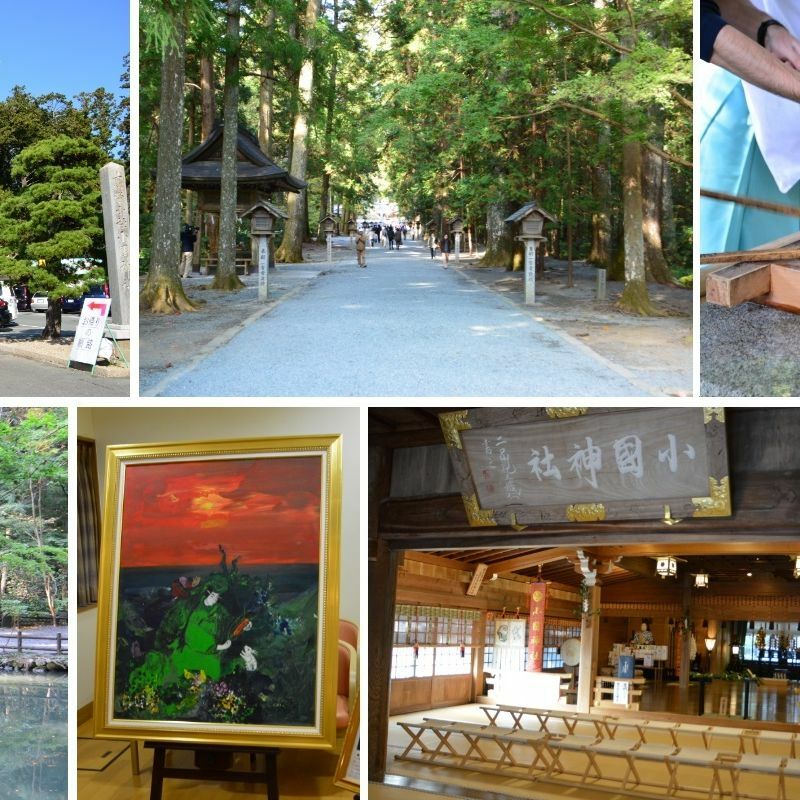 If you are visiting Okuni shrine it is really a nice place to round up your visit. We got many presents from all the places we went. 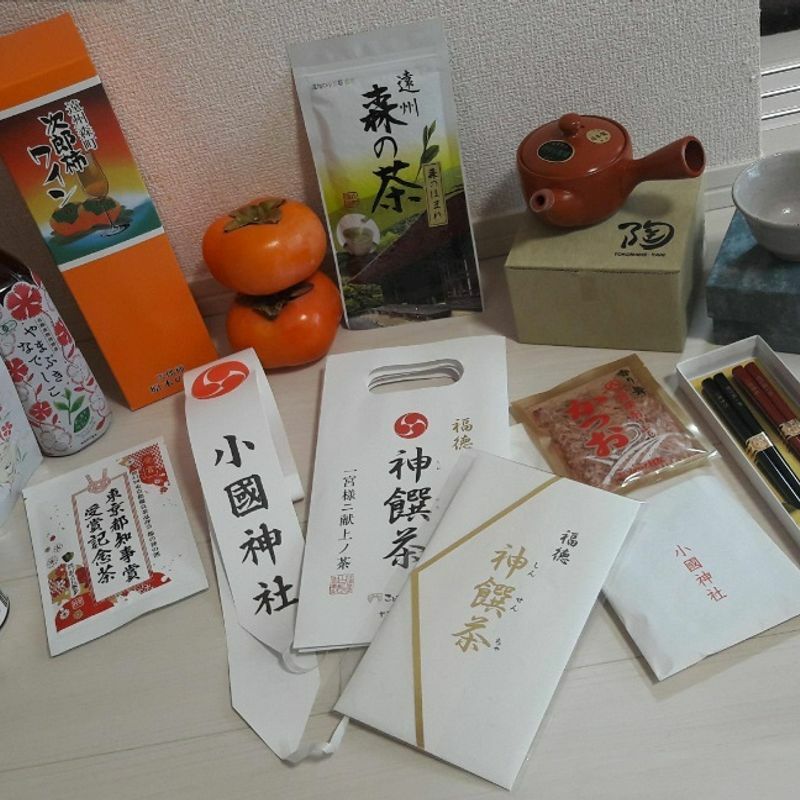 This includes several sorts of tea, but also a ceramic cup, a tea pot, beautiful chopsticks, kaki fruits and more. I am very grateful for all the kindness and hospitality we received on our tour to Shizuoka from all the people we met. I can’t thank you enough for all these experiences. A big thank you also to City Cost who invited us on the tour and the Chamber of Tea Association of Shizuoka Prefecture for organizing and accompanying us. On this day I took a video camera with me and made a video out of this wonderful tour. You can watch it on my YouTube channel. Even though I am speaking German in the video, you can find English and Japanese subtitles going with it. I hope you enjoy watching the video. Want to know more about this tour? I love your video of all the things we did for the day! Your whole YouTube channel is awesome. So glad to meet you!! What a really great recount of our day. And your video is just amazing. It captures so much of our wonderful visit. @genkidesu @Saitama Thank you! I am glad you all like the video. I am also happy that it came out so nicely. Love the video Yoko! Great detailed write up. Excellent!